Deliberations have begun in the federal corruption trial of former state Senate leader Dean Skelos. A judge charged the Manhattan jury in the case against the Long Island Republican and his son, Adam Skelos, Thursday afternoon. Both men face several counts of extortion and bribery and one count of fraud. On Wednesday, the defense said in closing statements that Dean Skelos never used his clout as one of Albany's most powerful politicians to extort bribes consisting of $300,000 in salary and other benefits for his son. Their lawyers say they will be vindicated. 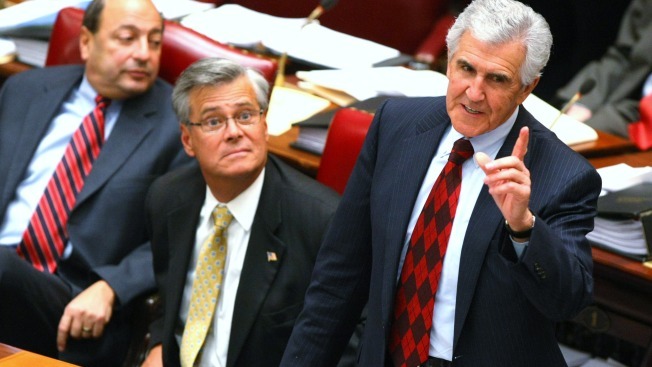 Dean Skelos has retained his Senate seat but relinquished his leadership position.